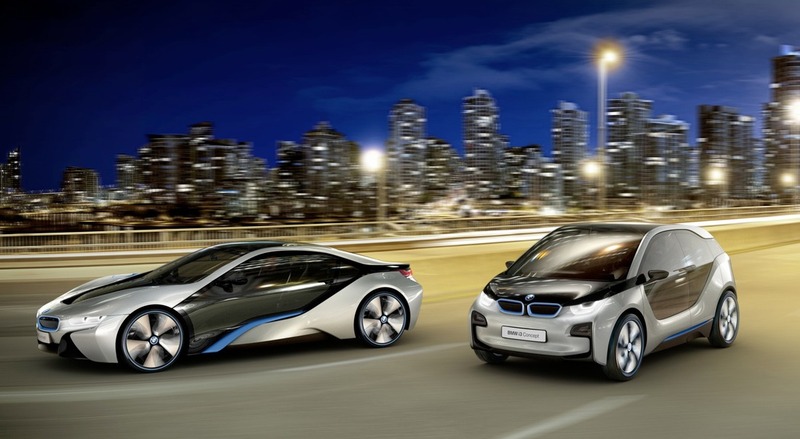 BMW i is a Electrifying Experience, comprehensive and ground-breaking concept for sustainable mobility. The vision of electric vehicles and mobility services, inspiring design and a new understanding of what the future holds. And BMW brings to the market, its innovative vehicles: the all-electric BMW i3, a locally emission-free vehicle for city driving that is sustainably designed throughout, and the BMW i8 concept, the future of the sports vehicle. The most progressive sports car: more efficient - through intelligent lightweight construction with carbon and an aerodynamic design. More sustainable - with recyclable materials in the interior. Without forfeiting dynamics and its sporty appearance. No compromises, but rather the optimal combination of driving pleasure and responsibility. The BMW i8 is a plug-in hybrid that brings together the advantages of electromobility and innovative engine technology. The result is an extraordinarily dynamic driving experience - with extremely low consumption and CO2 emissions. An entirely new concept of sports car. More efficient – for example due to intelligent lightweight construction with carbon and aerodynamic design. More sustainable – with highly efficient BMW eDrive technology and recyclable materials in the interior. Without forfeiting dynamics and its sporting appearance. No compromises, but instead the optimum combination of driving pleasure and responsibility. The BMW i8 is a plug-in-hybrid that brings together the advantages of innovate electric motor and combustion engine technologies. ​With its visionary design, the BMW i3 design defines the automobile of tomorrow. Its innovative eDrive transmission was designed in the scope of the BMW EfficientDynamics technology and is not only emission-free, but also offers an incomparable and nearly silent driving experience. The intelligent ConnectedDrive Services bring you conveniently to your destination.